The Rafale multi-role combat aircraft, set to become an important part of the Indian Air Force inventory in the near future, will be showcased at Aero India 2017 and perform solo flights daily, officials from its manufacturer Dassault Aviation said. 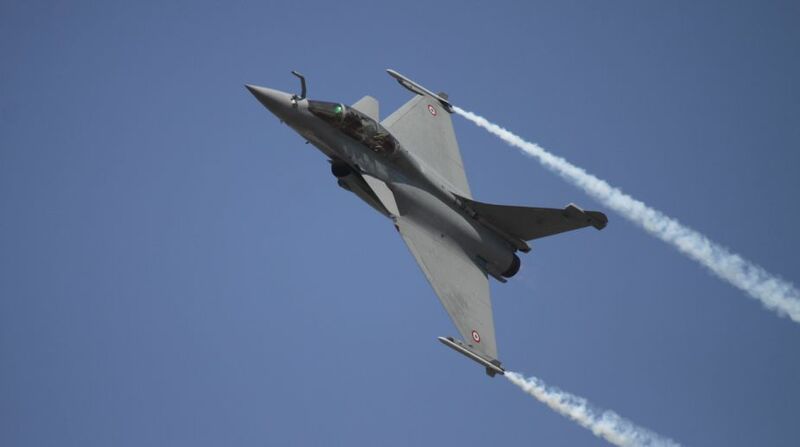 Three Rafale fighter aircraft that will take part in the biennial air show and aviation exhibition will include a single-seat Rafale C and two twin-seat Rafale B aircraft. A daily flight "solo" display will be performed, officials said. This comes as India has inked a deal with France for 36 Rafale fighter jets in a government-to-government contract. "Dassault Aviation, the Rafale manufacturer, has contributed proudly to India's defence preparedness for more than 60 years. Demonstrating Rafale's capabilities in the Aero India reaffirms our total commitment to India's sovereignty," said Eric Trappier, Chairman and Chief Executive Officer of Dassault Aviation. The deliveries of the aircraft will start in September, 2019 and will be completed in April, 2022, according to the Defence Ministry. India and France signed an inter-government agreement for purchase of 36 Rafale fighters off-the-shelf on September 23, 2016. This was after a long negotiation between the two countries over the price and other aspects of the deal which was agreed upon during Prime Minister Narendra Modi's visit to France in April, 2015. The 11th edition of the biennial International Aerospace and Defence Exhibition, Aero India, will be held on February 14-18 at Yelhanka in Bengaluru. Around 30 countries and 72 aircraft will be participating in the event this year.